A few decades of hiding in God’s presence, prepared to teach women what God taught her, Cheryl Dore started “One Strand Ministry”. An interesting name. The vision. . . connecting women, networking faith, stringing God’s pearls, to create “one strand.” Then came Her Faith,” an extension of One Strand, helping churches to grow communities of women who long to connect, grow and belong. Cheryl has her degree in Theology and Ministry Leadership from Simpson University and a two-year certificate in Theology from Hope Collage. 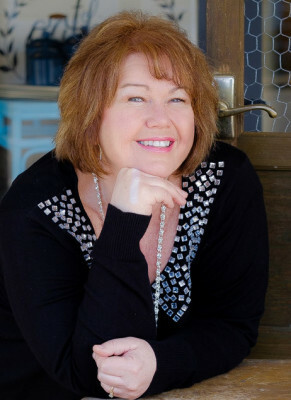 She is a published author, inspirational speaker and avid blogger. She never imagined her desperate desire to belong, live connected, and accomplish every passion hammered into her heart would be the push to pull women off the bench so they truly live. That’s it! Cheryl’s ideal life has been shaped in the trenches, rewritten to carry a passion for helping women to their seats, helping women belong and step into the life of their dreams! Marjie Schaefer, Leader of Flourishing Through the Word, praised Cheryl for her teaching style and dedication to the growth of women. "Cheryl hears so well from the Lord on behalf of women. I can't count the number of times she has spoken words that have comforted the cry of my heart. She is not afraid of the broken places in us . . . she longs to be a part of redeeming those broken places. Love her!​” Julia Broaders explained. Cheryl married a Montana farm boy, Tim, and brought him to Seattle, where together they have two children: a son Devin, and a daughter, Jenna. They are now grandparents of five boys, ages 8, 6, two age 3, and age 2. Add to the collection a new baby girl, 3 mos. Old.